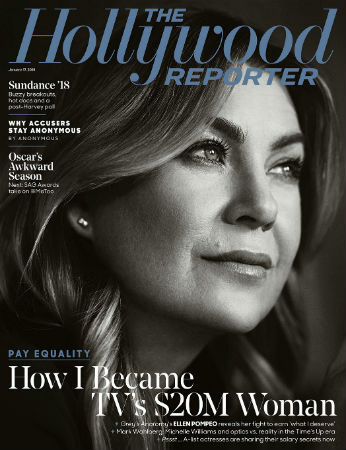 -If you read any long form article today, read THR’s cover story on Ellen Pompeo. It’s a refreshingly candid about the negotiations that made her the highest paid actress on television. She spills some McDreamy tea, revealing how Patrick Dempsey was used as leverage against her in salary negotiations “for years”. (“At one point, I asked for $5,000 more than him just on principle, because the show is Grey’s Anatomy and I’m Meredith Grey. They wouldn’t give it to me.”) It’s such a refreshingly blunt, entertaining and empowering read on recognizing your worth and fighting for it. –Kim Kardashian is a new mom! She brought her newborn daughter home. –Justin Timberlake said he ‘absolutely’ made peace with Janet Jackson after the Super Bowl incident. Maybe that’s true, but he certainly didn’t do it publicly, did he? –Timothée Chalamet donated his salary from a Woody Allen film to #TimesUp and other charities. I’m actually surprised that he didn’t seem to get as much blow back for working with him as others have. -Meanwhile, two more women have accused Joel Kramer of misconduct. –Catherine Zeta-Jones spoke out about Michael Douglas‘ preemptive sexual harassment denial. -In news that is no way shocking, James Franco’s Twitter stripper movie is now on hold. –Paul Scheer made fun of a romance novel’s cover and the genre’s fans called him out on it — so he ended up reading it, live-tweeting it and loving it. I adore this story. -I don’t watch James Spader‘s TV show, but I will watch him tell crazy stories on talk shows. -A Harry Potter fan-fiction film about Voldemort’s origin has over 4 million views. -American Crime Story: Versace is getting great reviews — but it is nothing like The People vs OJ Simpson. -Speaking of TV shows that are getting great reviews, everyone’s loving CW’s Black Lightning. I was really taken by last night’s pilot (which got good ratings) and I hope they can sustain it. –Leslie Jones reveals that she wasn’t faking it during that SNL skit with James Franco when it looked like she was trying not to puke. –Gabrielle Union’s new movie seems like Panic Room meets John Wick and I’m HERE FOR IT!